California is a unique and quirky State sitting on the Pacific west coast of the United States of America. From long, sandy beaches, glitzy cities, and Hollywood, to tech Silicon Valley, mountain ranges, off-beat rural towns and the vast Yosemite National park; there is a range of activities to satisfy the casual walker to the adventure enthusiast to the true city socialite. You can go online and compare California motorhome rental and campervan hire; then book the best deal from the top motorhome and campervan rental in California. Most companies will allow you to return your campervan rental in California to a different major city location, such as Sacramento (the state capital), Los Angeles, San Diego or San Francisco, to name but a few. So, the sky’s the limit! The roads in the USA are wide and inviting, with many side roads to explore and perhaps get lost along in your motorhome hire in California. It has been traversed thousands of times by visitors, locals and biker gangs, such as the Hells Angels whose Californian chapters were written about by Hunter S. Thompson in the book of the same name. The drive can take about two-weeks, depending on how much exploring you plan to do. 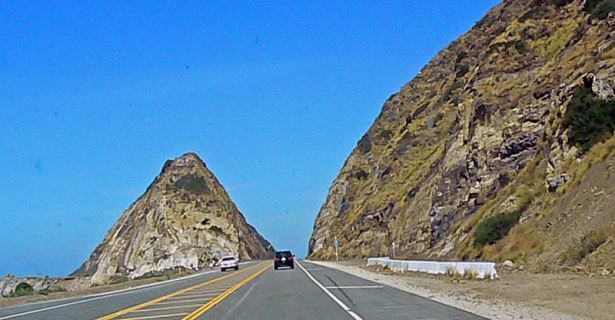 The Pacific Coast Highway route begins in Monterrey, the winding road hugging close to the rock. Not far from Monterrey, you will arrive to the charming and colourful Carmel-by-the-Sea. Hike at Point Lobos State Reserve Park, strolling among the Monterey Cypress trees, which grow naturally only here. 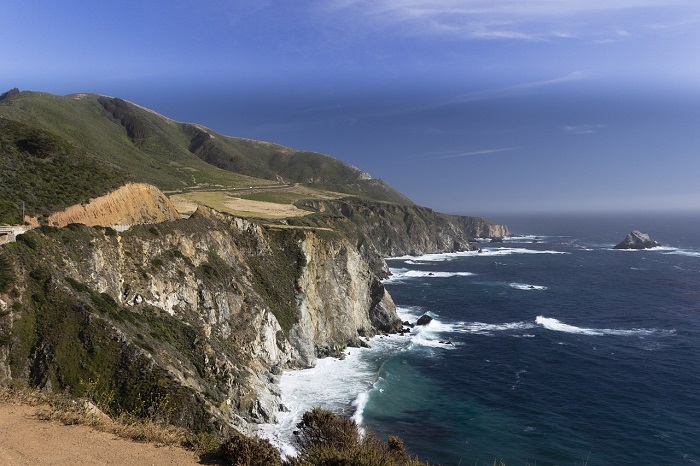 Next your California motorhome rental will take you along Big Sur; a dramatic stretch of coastline where the cliffs plunge into the ocean. The road will finally lead to Big Sur State Park. At Nepenthe, enjoy a meal perched 800 feet above sea level and taking in the panorama. Nearby explore the Henry Miller Memorial Library, which stands among enormous redwood trees, some big enough to drive a car through, though maybe not a California motorhome rental or RV hire. Walk out to the bluff where the McWay Falls spills over the cliff edge. After passing through several more sites of urban and natural beauty, you will arrive in Morro Bay. You’ll know you’ve arrived when you see Peregrine Falcons in the air and the Volcanic Plug “Morro Rock” just off the coast. 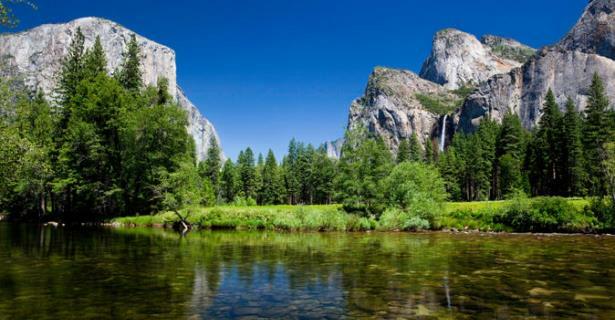 There are in total thirteen campgrounds inside Yosemite National Park, with facilities to suit every motorhome or campervan rentals in California need. In fact, camping is a beloved pastime in national parks across the USA and you can find grounds with facilities for wilderness trekkers and campervan rental road tippers – that other American pastime – alike. The park is filled with towering monoliths, pristine forest, cascading waterfalls and placid lakes. See a collection of the largest and oldest trees in the world, the Giant Sequoias (redwoods). The Park is quite developed, with educational facilities for children, well-marked hiking trails, rock climbing, biking, horse riding, an ice skating rink and restaurants. You can even put in a round of golf! There is extreme rock climbing and downhill skiing for the brave at heart. Or simply sit outside your rent a motorhome in California during the evening; with a barbeque and cool drink to watch the stars come out.